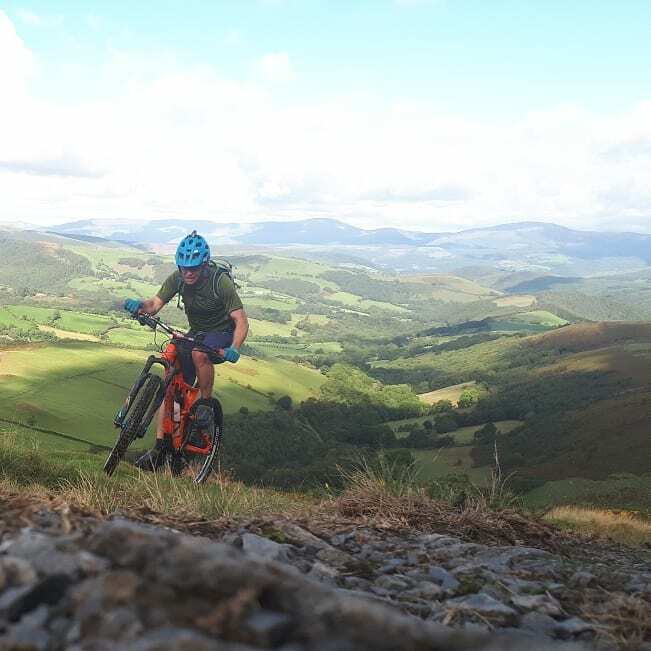 The Trans Cambrian Way is a long distance mountain bike route spanning the width of Wales from Knighton to Dovey Junction on the west coast. The route is approximately 100 miles long and crosses through some very remote countryside. 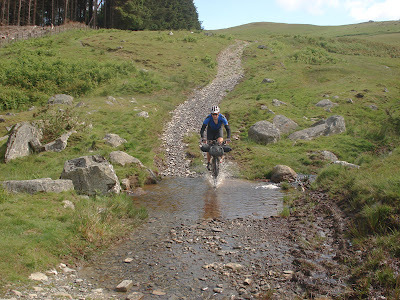 Originally devised and mapped by IMBA, it was intended to be a 3 day ride. 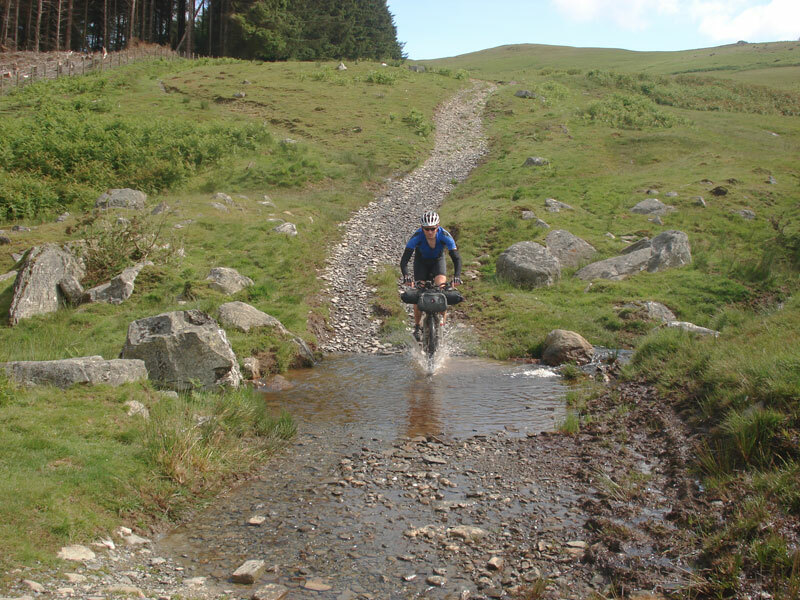 There are plenty of riders who will find a 3 day crossing a satisfying challenge ... then there are the 'others'! New West - East record time. On September 7th Phil Sweeney set a new West - East record of 12h 21m. The full force of summer may have gone but Phil says they left behind near perfect ground conditions ... well done Phil. Steve Large has set a new record for the double, completing the 'there and back' in 28 hours and 10 minutes. 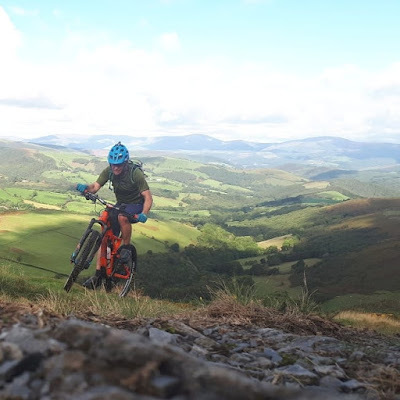 The very un-Welsh summer may have produced good ground conditions but the excessive heat and low natural water sources was the flip side of the coin and would have produced their own difficulties ... well done Steve and who knows, maybe someone else will attempt the double in another five years. Dave Barter sets a new West - East time. On July 30th, Dave Barter set a time of 13 hours and 22 minutes travelling west to east. Perhaps strangely, it's the first ITT attempt submitted in that direction, with most people electing to ride the more conventional westerly direction. 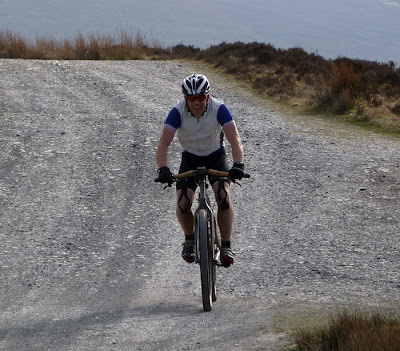 Dave would like it to be known that besides claiming the west - east record, he also believes that in the process of his attempt he set a new record for the most swearing carried out from a loaded bike ... yes, he did have a full compliment of kit on board! A new fastest time has just been set. 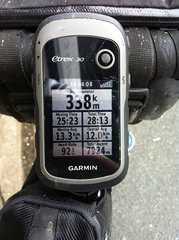 On Saturday June 8th Phil Richmond recorded a time of 10h 58m travelling east to west. Well done Phil, a superb effort! TCW Double ... We have a time, we have a record. It's been a long time coming ... the TCW now has a time for the 'double' and I'm surprised it's taken this long for someone to attempt it. Over the weekend of April 27th/28th Ian Barrington recorded a very impressive time of 32h and 32m to cover the 338km from Knighton to Dovey Junction and back again! I imagine it's a time that will stand for quite a while. Colbrook will attempt the TCW (east - west) with the goal of completing in 17 hours or less. There's a strong desire to succeed as they're raising money for two charities that are very close to Mikes heart following the tragic death of his new born son in 2009. A time of 17 hours is certainly achievable but you still need a little luck on your side. Bad weather, mechanicals or errors in navigation can eat up the hours much quicker than you might think ... but hey, you knew that anyway. You can sponsor their endeavours by clicking HERE and keep up to date with how it's going HERE. I'll report back after the 3rd to let you know how they got on. New Time ... 11 hours and 44 minutes. Congratulations to Mark 'Pedalhead' Goldie ... he now has the honour of being the person to complete the TCW in the shortest time. 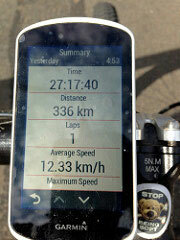 The 'new' time to beat is 11h 44m, travelling east to west ... well done that man! It's nothing to do with me! If you decide to ride the TCW as a time trial just remember you're on your own. Your decisions and choices are yours and nothing to do with either IMBA or me. Take care and enjoy it.